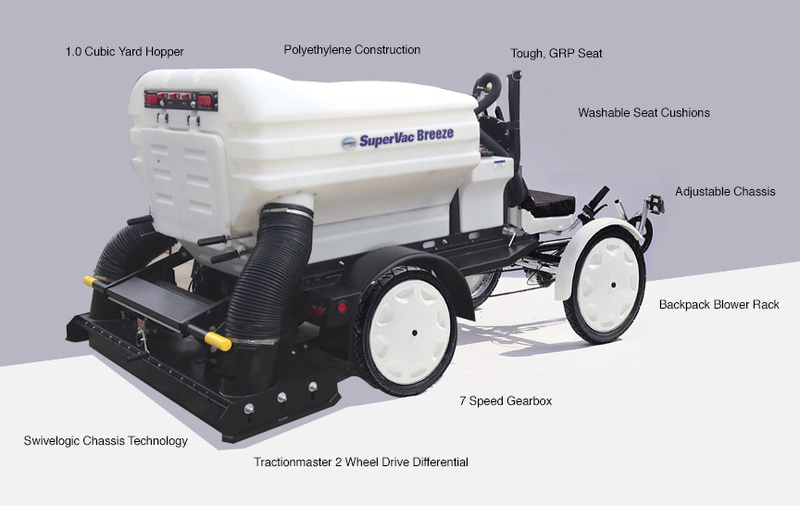 Schwarze Industries unveils new versatile SuperVac BreezeTM sweeper. Schwarze Industries unveiled its new Human-Powered SuperVac BreezeTM parking lot sweeper today. All can find work for a SuperVac Breeze. 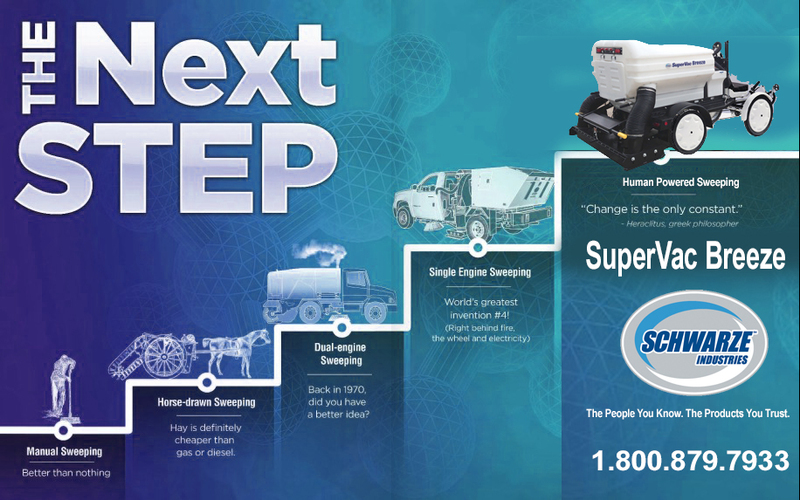 In fact, any work environment that requires surfaces to be swept in a reliable, cost effective way will benefit by adding a SuperVac Breeze to its fleet. When fitted with our electric motor option and the tipping body, the Breeze is suitable for sweeping bulk debris such as sand or soil. This model received a sophisticated water-cooled, human-powered auxiliary engine, the industry leading Schwarze WhisperWheelTM fan technology, and an optional curb blower. "Schwarze Industries is excited to unveil their latest customer focused product, and continue innovating as our customer base grows," said Greg Heyer, Vice President of Sales, Marketing, Customer Service & Product Management. THE PEOPLE YOU KNOW. THE PRODUCTS YOU TRUST. For over forty years in the street sweeping business, Schwarze Industries has been committed to providing an exceptional level of customer support. Schwarze Industries offers one of the most comprehensive sweeper lines in the sweeping business, including models for parking area cleaning, industrial sweeping, mall and shopping center sweeping, airport runway sweeping, street sweeping, milling cleanup and stormwater runoff (PM-10) management and a complete line of velocity pothole patchers, featuring the, single operator/automated, Schwarze® RoadpatcherTM. For additional information visit the Schwarze® website at www.schwarze.com. You may also reach the company by calling 800.879.7933. © 2005 - 2019 World Sweeper All rights reserved.